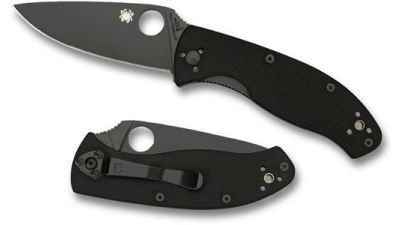 Spyderco’s collection of Value Folders, are named after admirable human characteristics. Our economical Persistence is smallest, the Tenacious is mid-sized, and our new Resilience the largest. All three folders offer a high level of cutting performance, materials and construction for around the cost of a tank of gas. 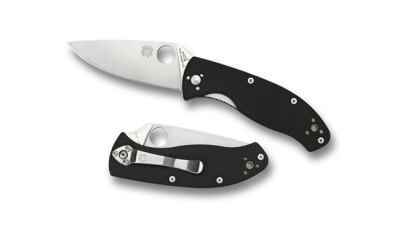 The Resilience has a full-flat ground 8Cr13MoV stainless blade with a tip-to-handle cutting edge. Jimping cross-hatches the spine offering a slip-proof seat for the thumb while grasping and cutting. Black G-10 handle scales house skeletonized steel liners inside, a Michael Walker LinerLock, screw together construction and phosphor bronze washers around the pivot for smooth and resistance- free action. Houseglass stainless pocket clip is four-way compatible for tip-up/tip-down, left/right-hand carry. 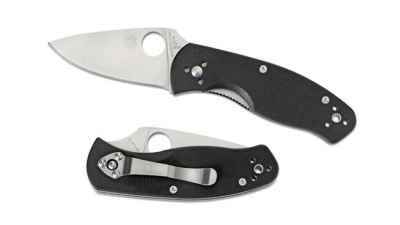 Feature-for-feature, dollar-for-dollar, performance-for-performance the Resilience adds one more must-have best buy to the Spyderco line-up.